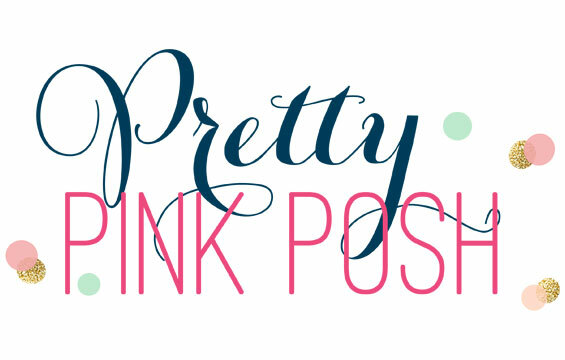 Welcome to the My Favorite Things and Misti Blog Hop! We have a great line up today of projects showcasing MFT and the mazing Misti Stamping Tool. 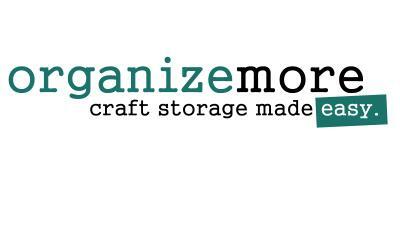 Check out the MFT Blog for a full line up of stops to make. One of my most favorite uses for the Misti is double stamping. With the Misti, double stamping a perfect image is completely possible. This gives you a solid image and even brighter color when you can add layers of ink. In today's card, I used double stamping with Versamark to create a solid heat embossed image. I lined up a piece of Vellum inside the Misti. The benefit of using this great tool is having those graph lines. 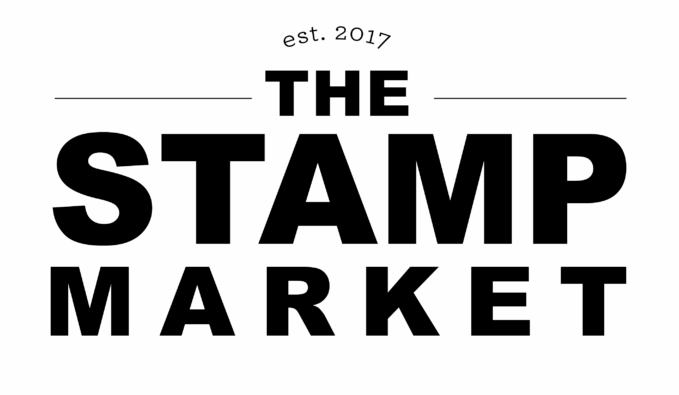 You are able to line up your stamps perfectly within your cardstock. I used the fabulous bar magnets to hold down the Vellum and then stamped the image 3 times to ensure a perfectly coated, Versamark image. This allowed to get great embossing powder coverage. I love that embossed look! I layered the vellum on a piece of white cardstock that I added the Lots of Heart Stencil to with some Candied Apple Oxide Ink. I decided to go in a little on the edges with some Worn Lipstick Oxide ink just to add a little pink details. I added a small strip of Silver Glitter Washi to the top of the card and then attached the 2 pieces together with a staple. I know staples are a different way to adhere paper together on a card but I do love the detail of the silver staple. I attached the stenciled and vellum card front to a white card base using foam tape. Last, I fussy cut one of the hearts from the stencil and added it to the vellum front. I added a layer of Glossy Accents to the heart for a little shine. I hope you have enjoyed my card today. Please stop over to the MFT Blog for more details. There are lots of prizes to be given away and you will be able to find all those details over there. Thanks so much for stopping by today! Have a great weekend! Love your gorgeous card Laurie, I love the design. It's so pretty! I also have almost every one of the new products on my wish list. TFS. Hi Laurie, I love that you used vellum to add a soft touch to your sweet card. I forget to use vellum, thank you for reminding me with your beautiful card. Amazing card, I love the way you off set the layers, it adds so much interest to your card. Thanks for the inspiration. Such an elegant card! Love the background under the vellum! I need a Misti! Awww! Love your sweet card!!! 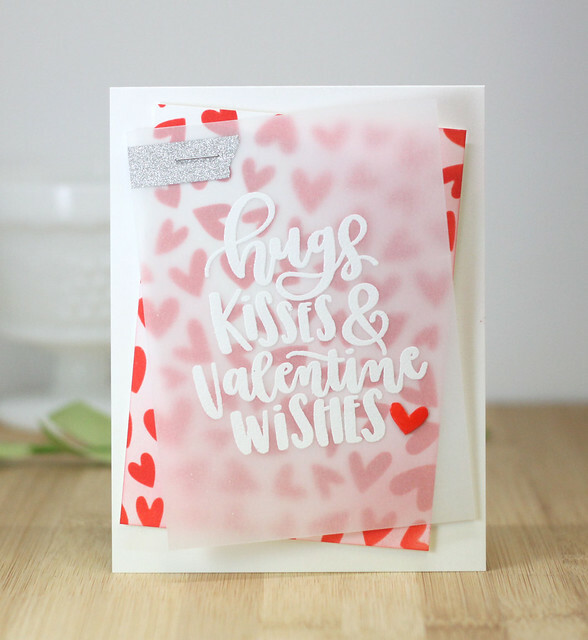 Your use of vellum is stunning and oh so cute! What a terrific hop! So cute, I'm such a fan of vellum. Love it Laurie. That stencil is so sweet. I love the vellum too! I love the layered look of this card. Oh, and the hint of glitter/silver at the top. Just perfect! Cute valentine! I love embossing on vellum. 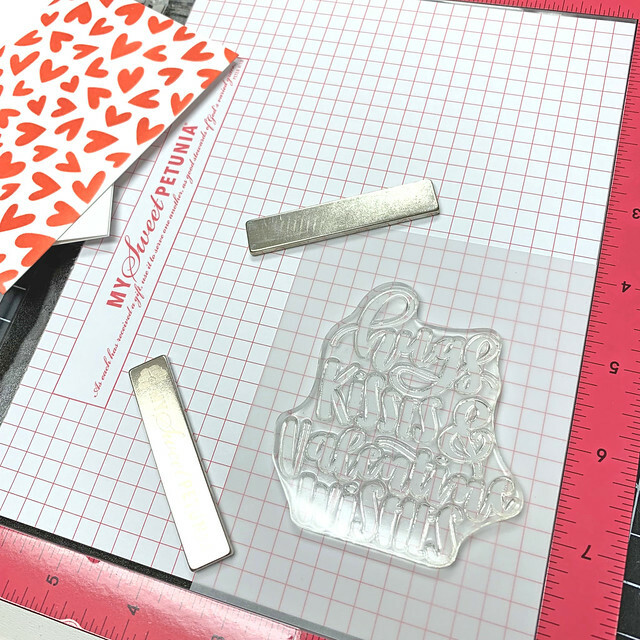 I am crushing hard on the Lots of Hearts stencil... it will be going in my cart when I finish hopping, for sure! I would love to know what brand embossing powder you used that gave such great results in one layer of embossing! Great card!!! Such a fun card! I love the vellum and the sweet sentiment! So pretty with the vellum. Fantastic card! 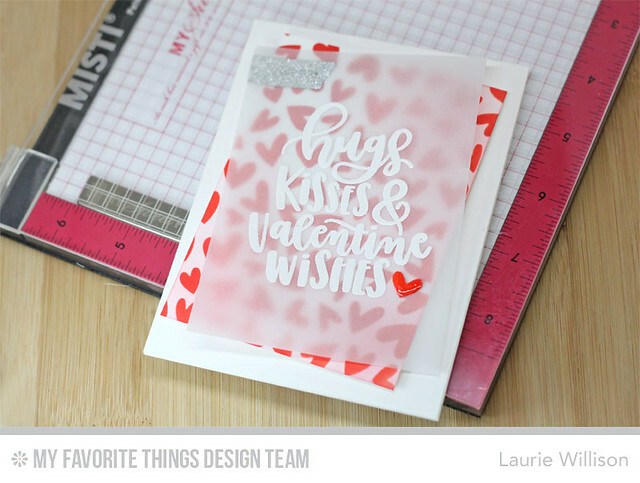 Love the heart stencil and the fabulous vellum overlay. Love the use of vellum on your card! 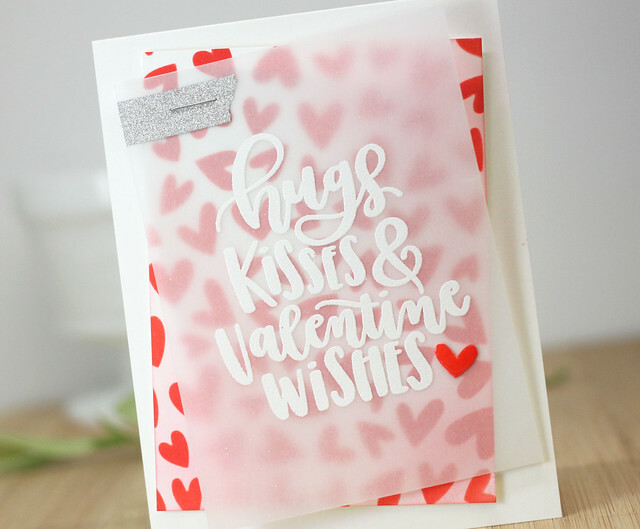 Love your vellum sentiment panel and that wee touch of sparkle. This is terrific Laurie! That embossed great! It is nice to use the MISTI to get it really inky. Love your use of the misti to get a good versamark stamp. Love your card and my MISTI! I also think it's wonderful for several layers of ink and for lining things up correctly! I'm new to card making and I'm enjoying all of these tips! 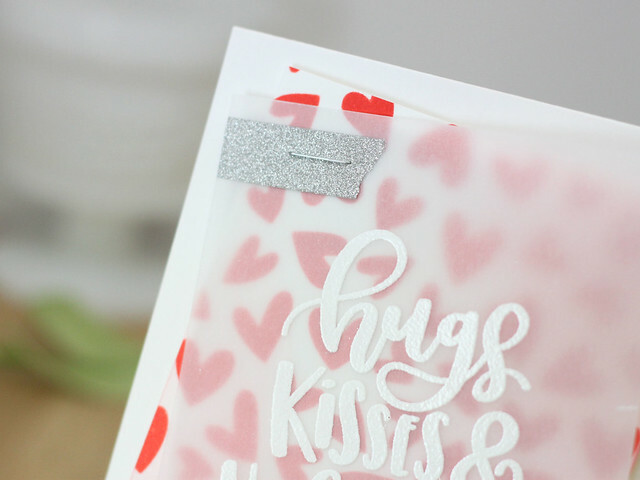 Love the embossed look over the glossy hearts, so neat of an idea. Awesome card. Great card w/ awesome design! I also love my Misti, now I want/need another as I gave my mini to my mom. I always get a good image stamped now, & always end up w/ a straight stamped sentiment. Thx for sharing Laurie! Stunning card. Love the use of vellum and embossing. 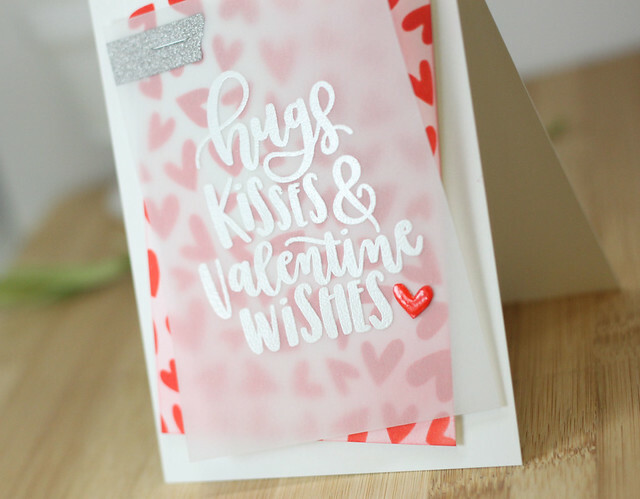 The vellum and silver add a cute touch to your card. NICE job. Beautiful card! I love that washi tape/staple combo - fun way to attach vellum! So pretty with the heart background and the vellum overlay. Gorgeous card, I love the idea of using a staple to help attach the vellum layer! I love my Misti!